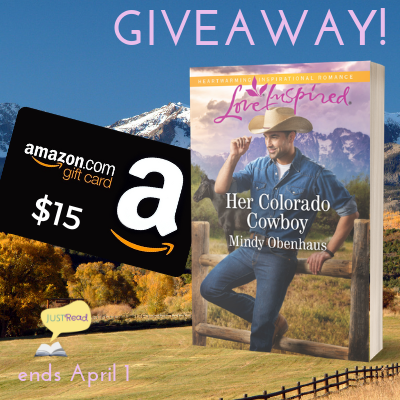 Her Colorado Cowboy is such a sweet love story about letting go of your fears and past heartaches! I can totally relate to Lily Davis’s reluctance to grow closer to Noah Stephens, owner of the ranch where her children go on a horseback ride. As handsome and appealing as a cowboy might be, like Lily, I’m a total city girl. Also, I’m not extremely afraid of horses like Lily is, but I’ll admit that their large size does make me nervous! As the story progresses, Noah grows closer to Lily over the course of the summer, and he also falls for her two children. I think that this is one of the best parts of the book! I loved getting glimpses of Noah’s tender side as he had parenting moments with Lily’s kids. The story has a sweet conclusion, and now I’m excited to catch up on the rest of the Rocky Mountain Heroes series! *I received a copy of this book from JustRead Publicity Tours and am under no obligation to provide a positive review. All opinions are my own.